Safely convert and increase your car cigarette lighter from one to three sockets. 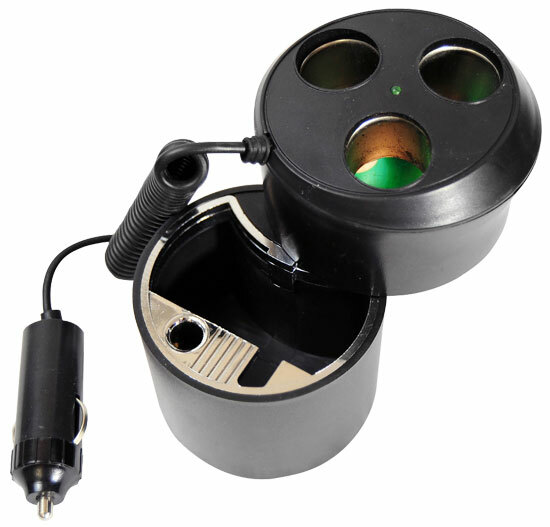 Powers three 12-volt electronic items and includes two piece unit construction with functional ashtray that fits in most car cupholders. Power cell phones, iPods, or any other electronic device on the go.